EUROMED Invest is one of the main European programs aimed at developing private investments and economic relations in the Euro-Mediterranean area. The goal was to renew the interest of SMEs in the Euro-Mediterranean market, increase investment and business projects flows, and to ensure that the EU finds its leading position as a major source of foreign direct investment in these countries. 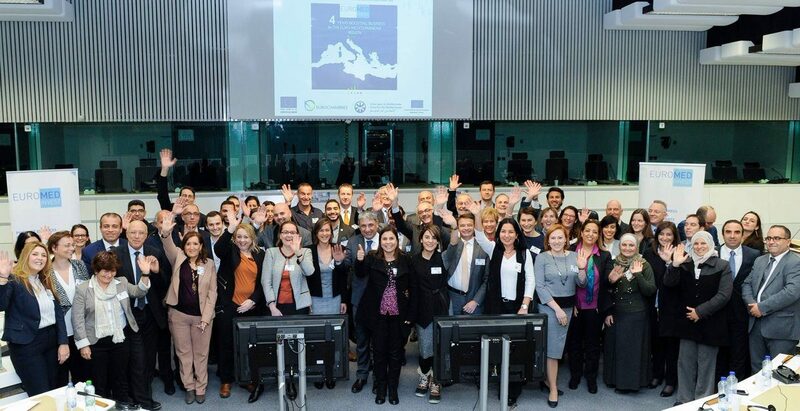 The project – kicked off in 2014 and concluded in 2017 – was coordinated by ANIMA Investment Network (INSME Member from France) within a consortium composed of 6 members: Eurochambres (Association of European Chambers of Commerce), ASCAME (Association of Mediterranean Chambers of Commerce), BusinessMed (Union of Mediterranean Confederations of Enterprises), EMDC (Euro-med Development Center for Micro, Small and Medium Enterprises), GACIC (German-Arab Chamber of Commerce) and EABC (Euro-Arab Business Council). INSME contributed to the EUROMED Invest project as an affiliated entity.